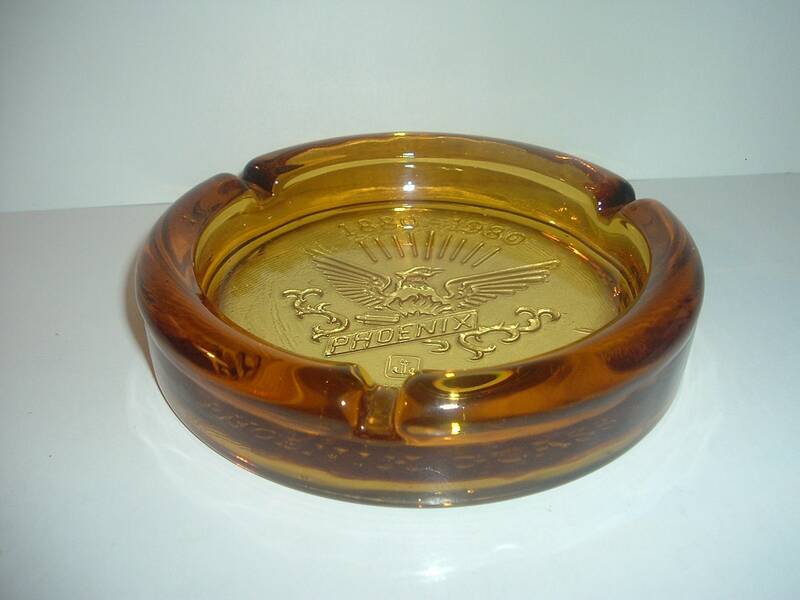 This Anchor Hocking Phoenix Glass 1880 - 1980 ashtray measures approx. 5 5/8" across. 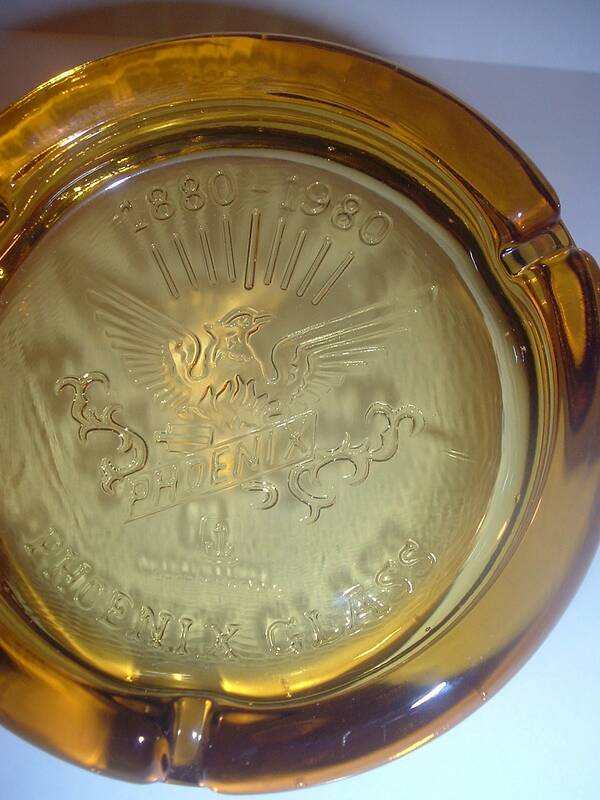 I see a couple of tiny air bubbles in the glass. 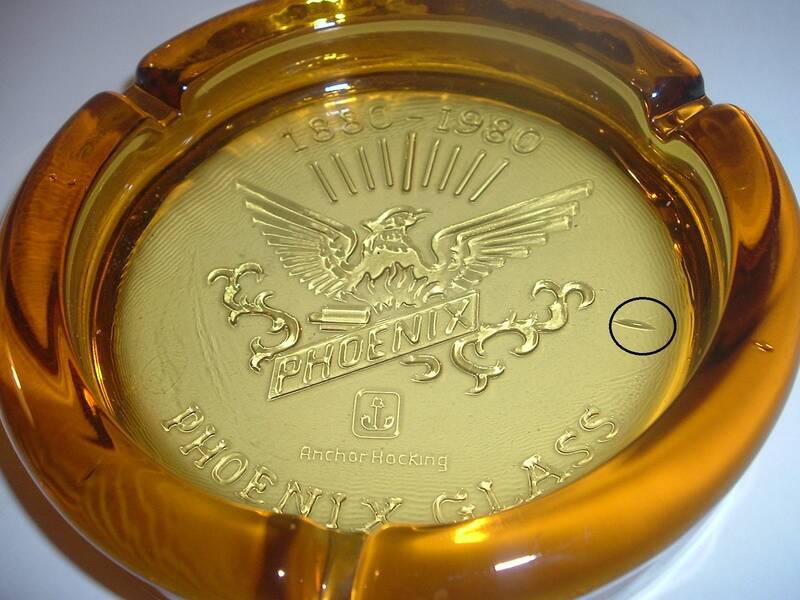 I see a small factory straw mark on the outside bottom -- which you can see from the top side (circled in photo 3) -- mentioned for accuracy. No chips or cracks. 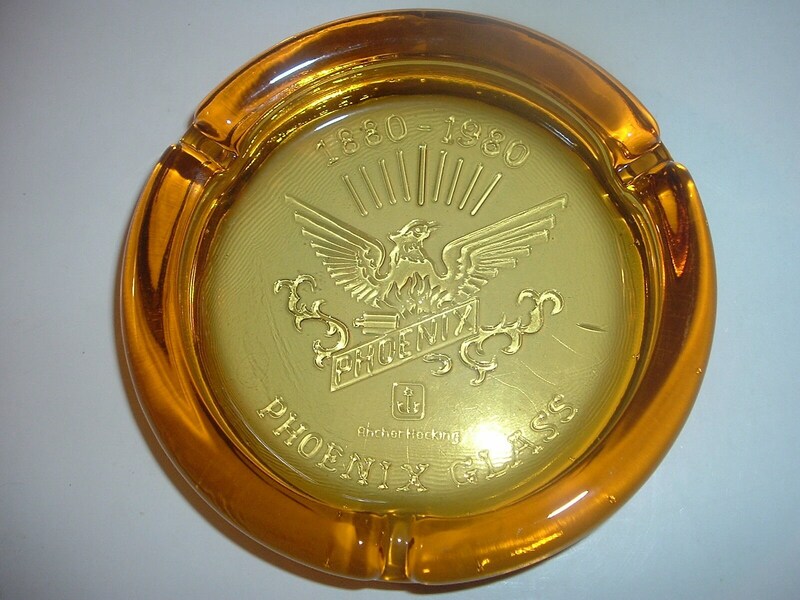 It has Anchor Hocking and Phoenix Glass 1880 - 1980, and the Phoenix logo. A nice piece! I gladly combine shipping.